While the official calendar has yet to be released, we do know that this year’s edition of “white night“, a cultural marathon of special events running from the evening of April 30th and running through the night on to the 1st of May, will have the “Black Night” as theme with MUSIC at its heart. The Medici Villas of La Petraia (8:15am-6:30pm), the garden at the villa in Castello (8:15am-6:30pm), the villa at Poggio a Caiano (8:15am-6:30pm) and the villa in Cerreto Guidi (9am-6pm) (free). Noticeably absent from the list of special openings is the Uffizi and Accademia museums, whose staff were not available to work on May 1st, which we should remember is Labor Day. If we have the chance to spend the night and day outside and enjoying it, it is due to the hard work of those who will work on that day to make sure we can be entertained and fed. 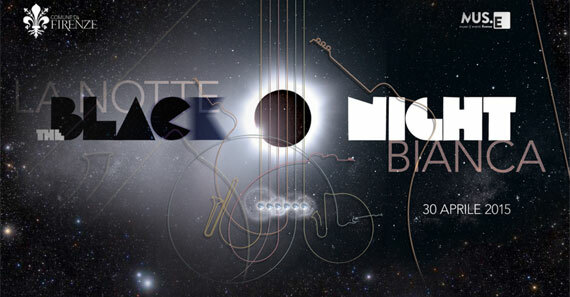 The official site for White Night in Florence should be updated soon, we will keep you updated!